The Exocoetidae are a family of marine fish in the order Beloniformes of class Actinopterygii. 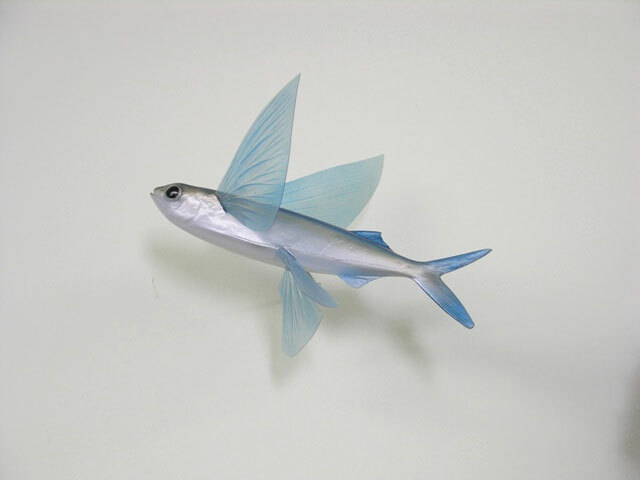 Fish of this family are known as flying fish. About 64 species are grouped in seven to nine genera. 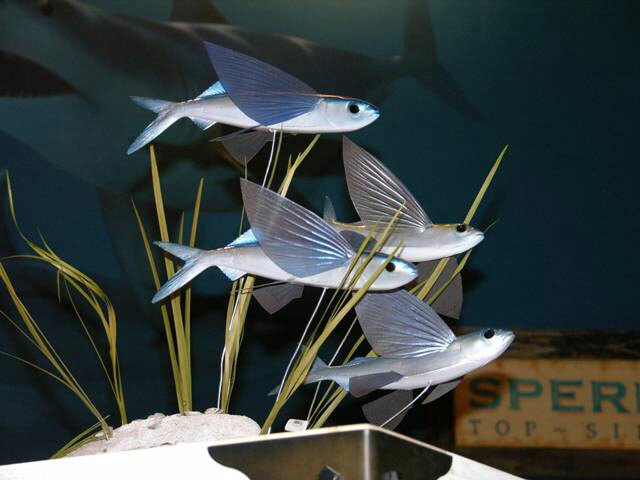 Flying fish can make powerful, self-propelled leaps out of the water into the air, where their long, wing-like fins enable gliding flight for considerable distances above the water’s surface. This uncommon ability is a natural defense mechanism to evade predators.